Cyprus appears to be taking a backseat to the Federal Reserve for U.S. investors Wednesday. "Cyprus has a bit of time to go back to the drawing board and come up with a solution to its problems," said Nick Stamenkovic, strategist at RIA Capital Markets in Edinburgh, Scotland. "The market seems to take the view that the problem is relatively contained." U.S. stock futures were higher ahead of the opening bell. At 2 p.m. ET, the Fed will release its latest interest rate statement and economic forecasts. Chairman Ben Bernanke is expected to maintain a gloomy outlook despite stronger economic data. All three major indexes remain up between 7% to 10% higher for the year, fueled, in part, by ongoing stimulus from the Fed. Investors will also be monitoring developments out of Cyprus Wednesday after lawmakers voted against a tax on bank deposits, calling a bailout deal into question. 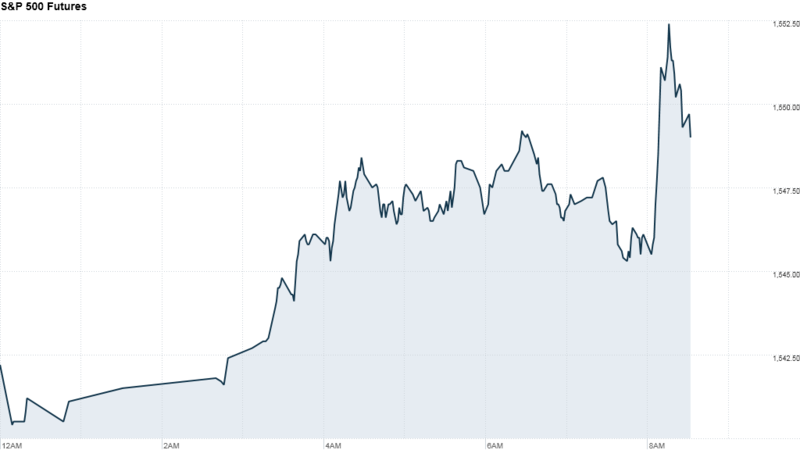 Worries about Cyprus sparked a choppy trading day Tuesday, with U.S. stocks ending mixed. "Investors are relatively sanguine, but obviously the longer this goes on, and if we don't get a solution quickly, the banks might pull the plug on Cyprus," said Stamenkovic. In corporate news, FedEx (FDX) widely missed earnings estimates and cut its outlook for the year. The company is often viewed as a bellwether for the broader economy due to the global scope of its business. FedEx also said it may temporarily ground some aircraft. Shares of rival UPS (UPS) fell more than 1% in premarket trading. Shares of Lennar (LEN) rose 1% after the homebuilder reported better-than-expected earnings. Adobe Systems (ADBE) shares jumped more than 5% in premarket trading, a day after the graphics software maker beat earnings estimates. European markets were higher in morning trading, while Asian markets posted gains. The Shanghai Composite added 2.7% and Hong Kong's Hang Seng advanced 1%. Tokyo's stock market was closed for the first day of spring.